Police contend the trans woman's brutal beating and shooting death was the result of a robbery, not a hate crime. 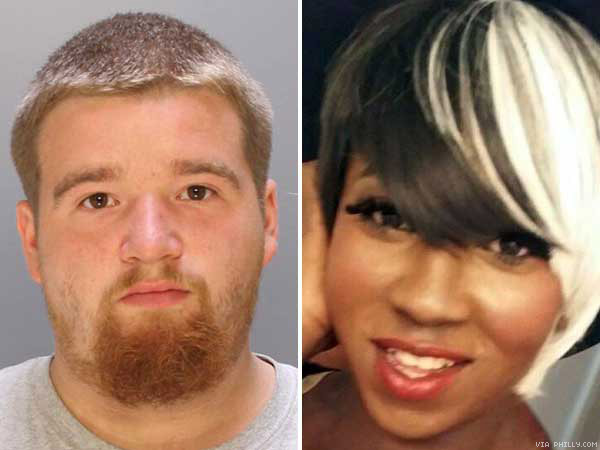 A 24-year-old Philadelphia man has been arrested in connection with the recent murder of black transgender woman Kiesha Jenkins, reports Philadelphia TV station WCAU. Pedro Redding was arraigned Monday on murder, conspiracy, and weapons charges, and was denied bail. Redding has a history of convictions for aggravated assault and weapons charges, according to WCAU. Investigators told the station Redding has also been arrested for drug offenses and robbery. Police are still searching for three other men who they believe were involved in attacking Jenkins in the early morning hours of October 6, beating her to the ground and then shooting her twice in the back. Local authorities believe the group has committed a string of robberies in the area and sought to rob the 22-year-old woman as well. "They rob a lot of different types of individuals," Philadelphia Police Department Homicide Capt. James Clark told reporters of Redding and his co-conspirators. "They just so happened that night to [target] Kiesha." Investigators do not believe Jenkins was targeted because of her gender identity and therefore are not investigating her death as a hate crime. Jenkins, who was killed while exiting her vehicle at 13th and Wingohocking streets around 2:30 a.m. in North Philadelphia, is the 20th trans woman reported killed in the U.S. this year, and at least the second black trans woman murdered in Philadelphia this year. In May, 21-year-old London Chanel was killed in an abandoned house in North Philadelphia, stabbed to death after what appeared to be an altercation with a man, unidentified at the time, who was later arrested in connection with the woman's death. Jenkins's death is the latest in a year that has been particularly deadly for American transgender women, with advocates and even politicians continuing to decry an "epidemic" of transphobic violence. By comparison, 12 transgender women were killed in 2014, though neither year's totals include those whose deaths were not reported or investigated, nor those whose identities as women were not respected in death or by police and media coverage. Philadelphia police are offering a $20,000 reward for information leading to the arrest and conviction of other suspects involved in Jenkins's killing. Anyone with information pertaining to the crime should call the Philadelphia Police Department at (215) 686-3334.